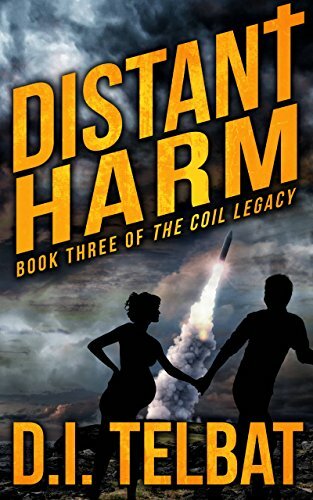 In DISTANT HARM, Book Three of The COIL Legacy by D.I. TELBAT, COIL’s legacy is threatened in a violent land! Christian persecution in North Korea has reached a fevered pitch. A pregnant woman and her husband have been arrested and are caught in the crosshairs of the wicked regime. Their executions are imminent, and rescue inside the oppressive country seems impossible as winter looms and sadistic plotting boils over . . . But COIL operatives serve a God who can do the impossible. 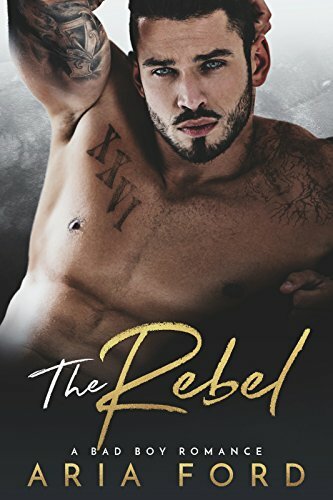 As the brutal regime prepares for another missile launch to celebrate the next highly-publicized execution, Corban Dowler tasks his most trusted field agents to work out a sophisticated rescue–though this one will certainly cost COIL lives. Titus Caspertein, Chloe Azmaveth, and Luigi Putelli gather with the most elite Christian Special Forces operatives from the past. COIL pulls no stops as they prepare for a joint covert mission into the heart of a government that threatens an unprecedented attack marked by a blood offering. Evil has never seemed so determined. Though COIL agents have prepared to face communist prison guards, they still need to train new recruits–the K.O.N.s. In what could be their darkest hour, these selfless volunteers rejoice that they have the honor to serve and, if necessary, to die for Jesus, as they intercede with courageous compassion in North Korea. In The COIL Legacy’s final installment, Operation: Harm’s Way becomes the most dangerous effort of Corban Dowler and Titus Caspertein in the reclusive hermit kingdom of North Korea. The world is about to change, and though Titus can see it coming, all he can do is remain steadfast for Christ with other COIL agents. Together they have learned that without sacrifice, there is no redemption. But a new dawn is on the horizon for COIL! Two audio techs have solved the eighteen minute gap on Nixon Watergate Tape 342. 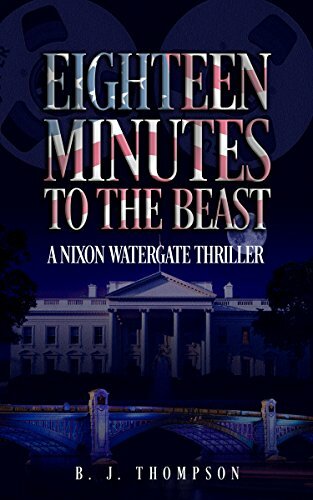 A Beast that slithers through the streets and halls of Washington DC wants to kill the truth, and two techs want to survive to Tell-All. Who will get to the Finish-Line first? The knowledge Ed and Harry possess traps them in a covert world, involving operations as far west as Nixon’s La Casa Pacifica in San Clemente, California, and as far east as the Virginia CIA Training Facility at Camp Peary, along the way finding themselves buried alive in a Deep Underground Military Base, meeting men of fame and fortune thought long since dead. Will the men live long enough to reveal the verbatim Transcript of Tape 342 at the global Press Conference scheduled at The Washington Post? And if they do, what affect will it have on the survival of the Republic and the American People when such unthinkable secrets are unearthed? The world will hear those words. The Beast breathes for the very first time. All things work together for the good for those who believe. Too bad Maura Garrison, a private investigator, isn’t a believer. The murder she was hired to solve hinges on its parallel in the Old Testament book, Judges, but she was just dumped by her pastor-husband so the Bible is the last thing she wants to turn to for answers. Rick Styles, Maura’s husband, is a popular marriage and family counselor with a thriving writing and speaking side business. He’s also the member of a city council committee dedicated to getting homeless children off the streets of Portland, Oregon, a worthy goal that seems to have attracted the attention of a sick and twisted killer. 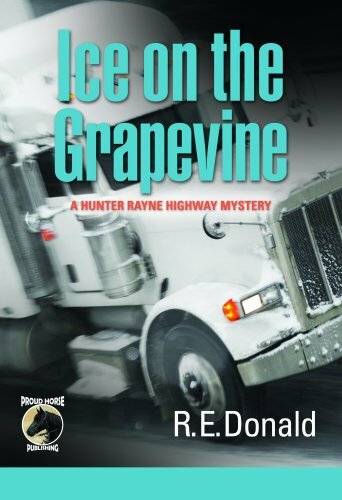 She’s working the hardest case she’s ever faced during the hardest time of her life with few friends she can count on and only her cat Rhoda for support. Solving this crime means digging deep into issues Maura wants desperately to avoid, will she be able to see her way through this tangle in time to stop a serial killer? 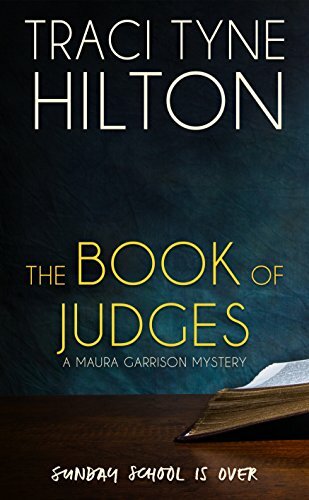 The Book of Judges: A Maura Garrison Mystery is classic Christian murder in the spirit of Chesterton, Sayers, Peretti, and Rushford. I&apos;m untouchable. I stopped giving a f*ck about anything years ago. Not my father&apos;s money or his expectations. Until I met Bethany. Her sweet curves, her smart mouth. She was my drug and I&apos;d never get enough. He&apos;s never been more f*cking wrong in his life. Because I&apos;ll do anything to protect what&apos;s mine. 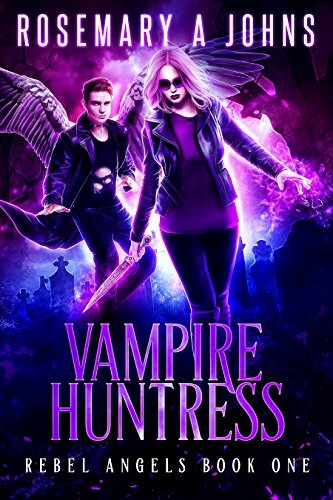 Fans of Buffy and Lucifer are sure to devour Vampire Huntress, the first book in the addictive series REBEL ANGELS by award-winning author Rosemary A Johns. Buy your copy now to begin the thrilling adventure today! 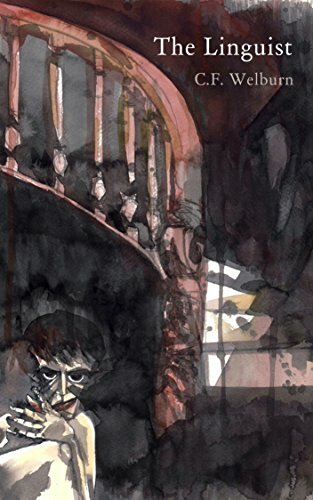 A theory – that by discovering the origins of all language a channel to the divine could be opened – dominates the linguist’s life work, driving him to the point of obsession and sacrifice. When a feral child is discovered in a nearby cave, he seizes the opportunity to further his research. But just how far will he be willing to go to prove his theory? And in the end, will the gods even listen?